Planning a weekend trip to Orlando? 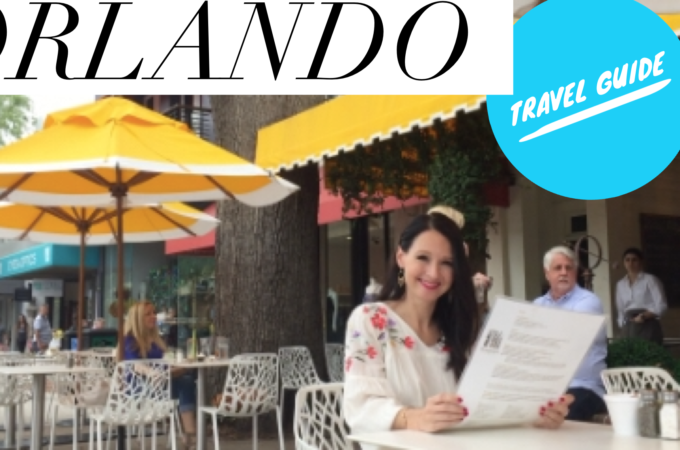 Well, follow this Orlando Weekend Travel Guide for the unexpected Orlando because there is so much more to this city than just the Theme Parks. Here are all the tips to enjoy Orlando like a local. Enjoy dining, shopping, boating, mimosas and views of lakefront Mansions that will make your jaw drop! Did you know that Orlando has been rated as one of the top Foodie Towns in the country tying with New York City and Las Vegas? So make sure to pack your stretchy pants and plan for a culinary adventure to some of these A-list chef restaurants as well as some tasty low-key casual venues that have been featured on Food Network. Ready to eat your way through Orlando? On Day 2 of your Orlando Weekend Travel Adventure, block a day to get up early and head over to Winter Park. It’s a quaint town located just five miles past Downtown Orlando, and one of the most scenic small towns in America which will transport you to Europe. Start your day with breakfast at The Briar Patch, then indulge in some retail therapy through Park Avenue’s unique boutiques and end your afternoon with a walk over to The Winter Park Scenic Boat Tour – which is one of my favorite hidden gems in Orlando – for a leisurely boat ride through three lakes and quaint canals. The boat ride lets you feast your eyes on some spectacular local scenery, including views of extravagant waterfront mansions, lush greenery, and plenty of wildlife. Work off those calories while experiencing the jewel of Downtown Orlando – Lake Eola. Take a leisurely half mile stroll around the lake. And, if you’re really adventurous, rent a Swan Boat and paddle around on the lake! The Swan Boats are famous downtown so paddle in on the fun. *Insider Tip: Look for a Groupon, you’ll probably find one for a 30 minute ride. While you are downtown, check out Ivanhoe Antique Row on Orange Avenue between Ivanhoe and Princeton Street. There are always one-of-a-kind finds from art to furniture pieces, jewelry to those hard to find vinyl records you’ve been hunting for that you won’t find anywhere else. Insider Tip: If you get hungry again, you can always stop into local favorite White Wolf Café for a gourmet snack to hold you over until dinner or try one of Orlando’s amazing food markets not far from Ivahnoe Antique Row like East End Market. Hit up East End Market, grab a bottle of wine, some fresh made snacks and then pop over to Leu Gardens and spread out a blanket or catch an outdoor movie at the garden! Ask me any of your travel questions in the comments below. Follow me on Facebook, Twitter, Pinterest and Instagram: @JamieOandCo and subscribe to my Youtube channel now for all the latest in travel, lifestyle and entertaining trends! Follow for the Newest Trends! Subscribe for the Latest Tips!